If you haven’t already registered for the 2017 Chicagoland Chamber Corporate Golf Outing, register now! A limited number of foursomes remain for our outing at one of the best courses in Illinois – the Skokie Country Club in Glencoe. Skokie has a rich history for hosting big events. Originally a Donald Ross design, it has hosted the 1909 Western Open, the 1922 U.S. Open and 1998 U.S. Senior Amateur. Skokie was one of 11 charter clubs that established the Western Golf Association in 1899 to spread the game of golf across the Midwest. Only seven still exist. "It’s important to get to know leaders outside of your day-to-day business. I find it inspiring to connect with other people who offer different experiences and perspectives. Chicago is an amazing city with great companies and talent. 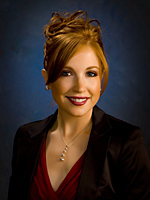 It’s awesome to have a forum to connect us all.” Read Anna’s full interview here. What happens when a CPA and Executive Chef team up to open a restaurant? 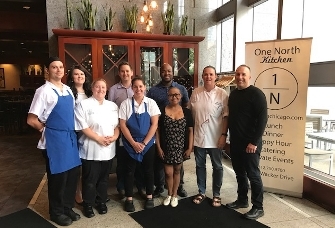 For member One North Kitchen & Bar it has led to great success! Read One North's story and plans for future endeavors in their Success Showcase. The Peninsula Chicago Named One of the Top City Hotels in the U.S.